My work joins the Naked Craft Network touring exhibition, which is part of a larger Naked Craft research project linking Scotland and Canada. The exhibition explores the connections between Scotland and Canada. 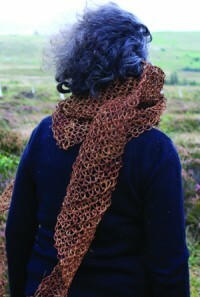 I have chosen to make a shawl from moss. 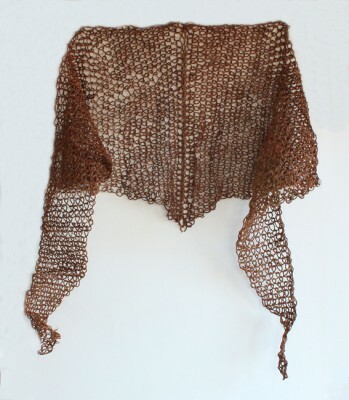 This piece is based on the traditional, ubiquitous Highland shawl which was worn by women of all classes and ages in a huge variety of ways. 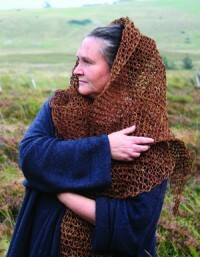 This would have been a common item of clothing and brought over with emigrants from Skye to Canada. 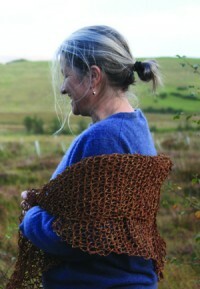 The material used to make this particular shawl is a specific moss, Hair moss, Polytrichum commune. This is a moss which has been used by people since the Iron age.